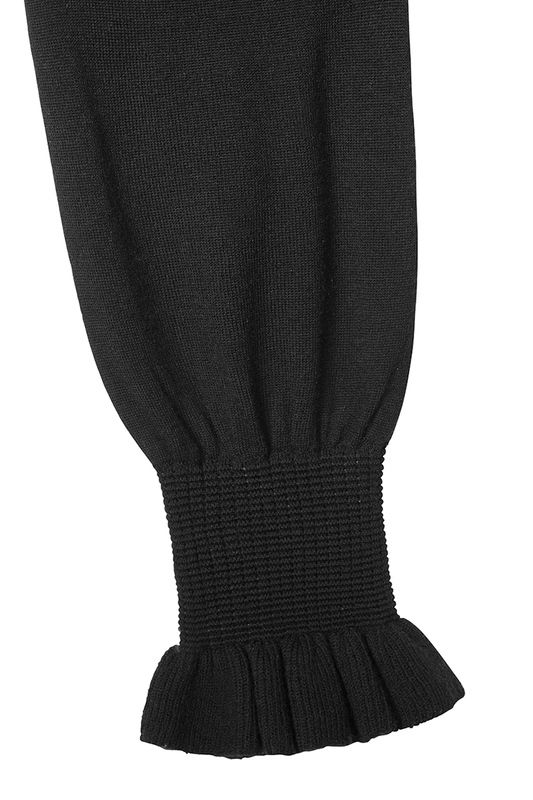 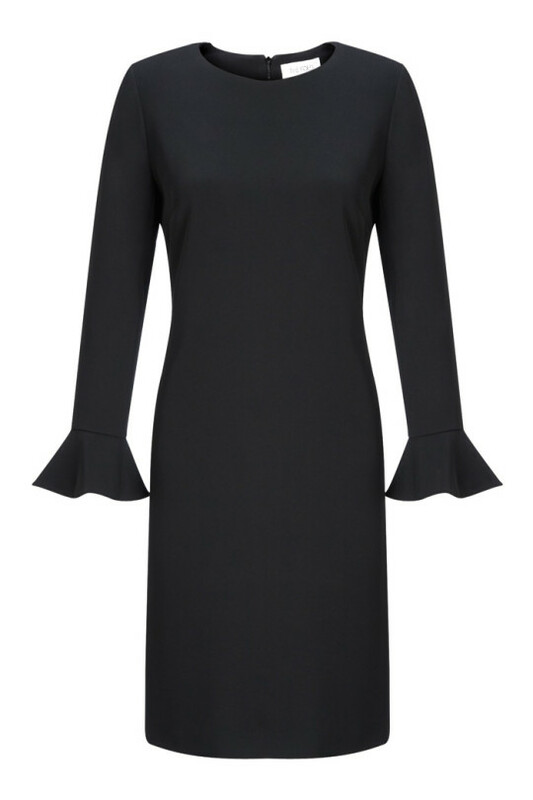 A feminine, frilled cuff adds a delightful twist to this luxurious black jumper, spun from fine merino wool. 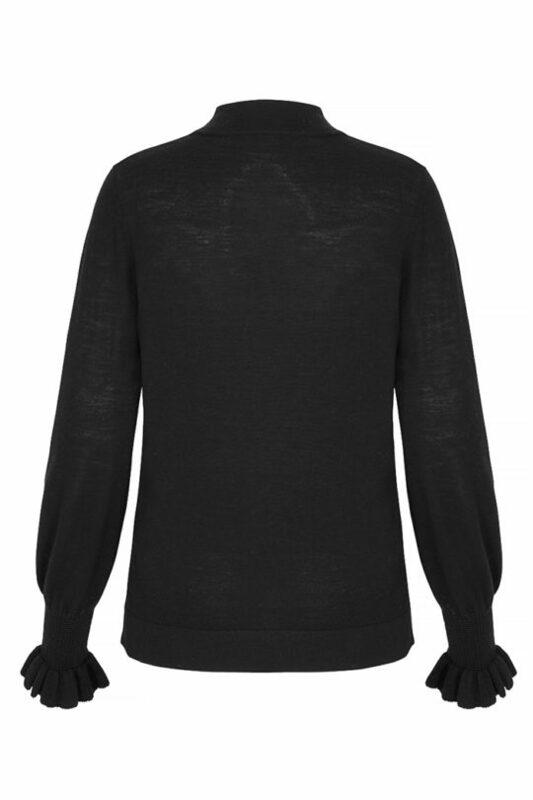 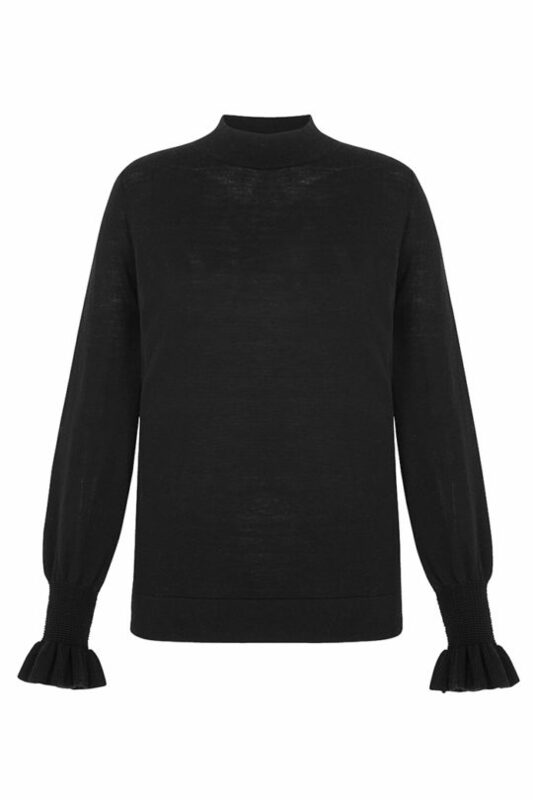 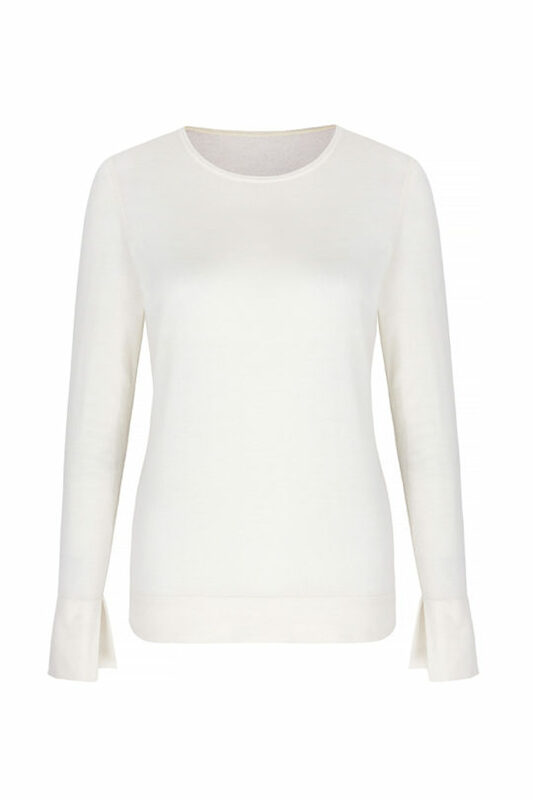 Slip into this slim-fitting and supremely soft turtleneck jumper, spun from extra-fine merino wool. 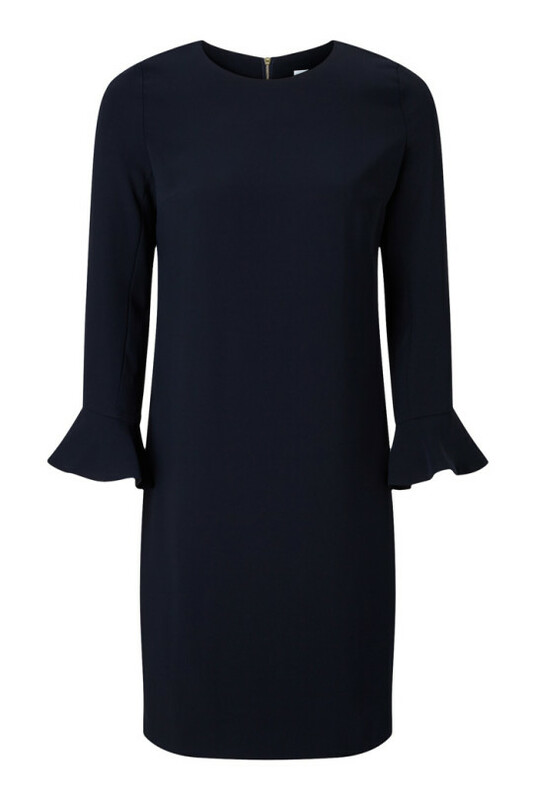 The highlight of this long-sleeved style is the ruched and ruffled cuffs, which add an elegant touch to both work and weekend looks.